We understand that patients seeking non-surgical solutions want the best medical professionals in Toronto. Our highly trained and experienced team provide the highest quality care, personal attention and excellent results. Since the two most important factors when considering a non-surgical cosmetic procedure are your choice of physician and clinic, we collaborate with you to establish a comfort level, and we offer a complimentary no-obligation consultation to ensure patients are confident in their decision to choose Vita Cosmetic and Laser Clinic. Our mission is to not only meet but exceed the highest professional and safety standards approved by FDA and Health Canada. Procedures are carried out by medical professionals who are certified by both the College of Physicians and Surgeons of Ontario and the Ontario Nursing Association. Experience excellence with exclusive treatment plans that are tailored specifically for you! Using advanced, state-of-the-art technology, Vita Cosmetic and Laser Clinic offers cosmetic and medical services which include photo rejuvenation, skin tightening, wrinkle reduction treatments, injectables, chemical peels, microdermabrasion, Botox treatments, cellulite treatments and laser hair removal. We also offer SculpSure ™ an effective, non-invasive treatment for fat reduction. Wrinkles, sun damage and facial veins – all within one treatment. Our team of medical professionals use their expertise and advanced techniques to maintain and deliver the highest standard of cosmetic medical services. We enhance, renew and restore your natural beauty to consistently deliver noticeable but natural looking results. Our Medical Director, Dr. Diego Delgado, works on the premises and is ready to answer any questions you may have and to supervise your treatment. While competitors use similar technologies, we have developed service protocols and unique procedural methods that put us ahead of the competition. 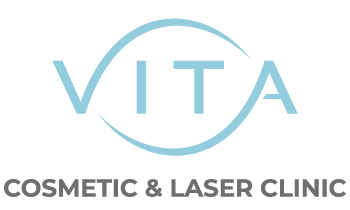 Vita Cosmetic and Laser Clinic provides the safest and most effective procedures available today. For your convenience we are open six days a week, with extended operating hours. Please call us today for your FREE, no-obligation consultation with one of our specialists.